and it's IP-based Push-To-Talk service compatible with existing radio. 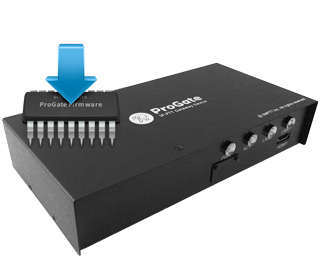 You can produce customized IP-PTT G/W products with ProGate Firmware. 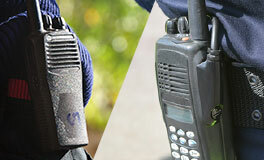 ProGate Firmware supports several IP-PTT G/W communication modes. Produce the optimum IP-PTT G/W device according to features that your customer wants. 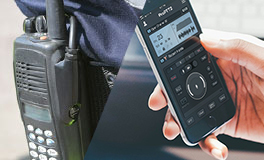 ProGate firmware supports Cloud/Server system integration so that it's possible to connect two-way radio and ProPTT2 smartphone application. In peer-to-peer/topology mode, you can communicate with a radio that has different frequency or a radio out of communication range. By SIP conntection, it's possible to connect phone (incl. 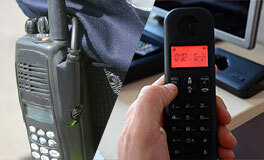 IP-Phone) and two-way radio through IP-PBX device. Install ProGate Firmware on a your device. * Technical support is provided to install the firmware. Connect the radio with the equipment that firmware is installed, and check the PTT voice connectivity. * When you connect the equipment and the radio, you need ProGate Cable suitable for the radio. When voice connection with the radio is being completed, Run a final test for the finished product.